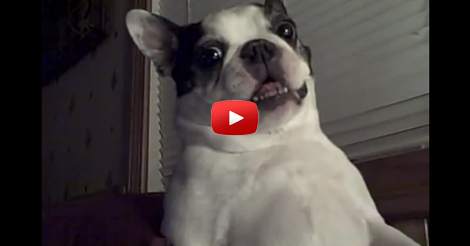 Boston Terrier dog likes his belly tickled! Meet Mackie. He is a Boston terrier dog and he loves being tickled especially on his belly part. His reactions every time his owner tickles him is just precious. His uncontrollable smile will also makes you laugh. Mackie is quite popular these days & has become an internet sensation with his Youtube video. His funny faces is what gets the people’s attention for we can clearly see that he was genuinely happy. This video will certainly put a smile to your friend’s face… so share this now to spread happiness. COMMENT and share your dog’s funny stories. 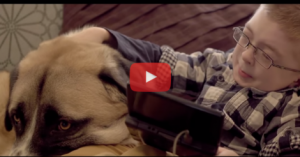 When A Boy With A Rare Condition Meets This Disabled Dog, His World Changed Forever. Tears!